Noyes Laboratory was designed by Nelson Strong Spencer. Located in Urbana on Matthews Ave., the laboratory was completed in 1916. The department of chemistry was the first to get its own building in 1877, and was completed shortly thereafter in 1878 with a budget of $20,000. The building was, “one of the best and largest on the continent” (Tilton, 16). This building was the old chemistry building, but by 1900 the building was becoming too crowded and almost unbearable to work in. So in 1901 the head of the chemistry department, Arthur W. Palmer, and a committee lobbied for another building. This building was called the new chemistry building. Following seven committee recommendations, the building was designed after the letter E, and cost a total of $15,000 upon its completion in 1902. This new building was known as, “the largest single building in the country devoted exclusively to chemistry” (Tilton, 29). 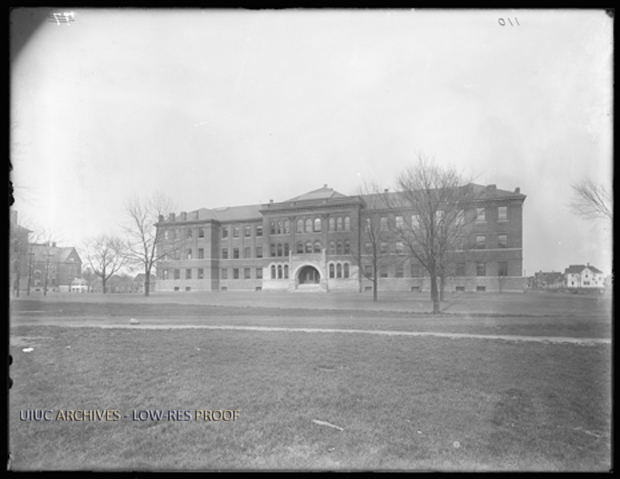 Unfortunately, this new chemistry building was still not large enough to cover the increase in students, so after just 12 years, another addition was added to the building and was completed by 1916. William Albert Noyes was the one who lobbied for the addition, and due to his contribution on May 13th, 1939 the board of trustees agreed to name the new chemistry building after him. In 2002, due to the long history and its graduates, Noyes Laboratory gained recognition as a national chemical landmark by the American Chemical Society. As a result of the campus’ rapid growth, Noyes Laboratory endured a few additions. The official goal of the most recent renovation was to add more modern mechanical and electrical infrastructure but also make a design that would not impact the historical appearance of the building. 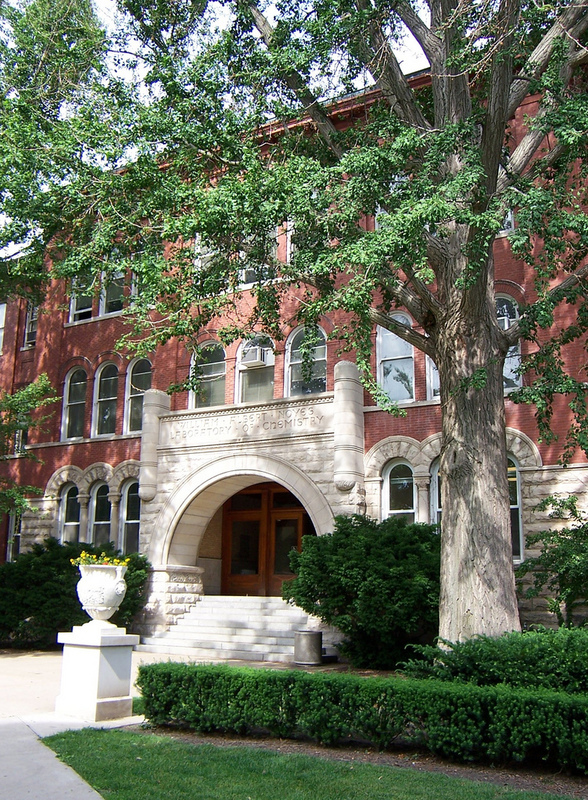 It was after this expansion that the University of Illinois housed the largest chemistry department in the United States. Noyes Laboratory is used at the University of Illinois as the School of Chemical Sciences, and therefore the main purpose of the building is to facilitate the Department of Chemistry’s projects. It is here that scientific research and teachings are performed. Within this building are the departments of Biochemistry, Chemical Engineering, and Bacteriology, and the Illinois State Water Survey. The building itself is equipped with a variety of different multi-usage labs, classrooms, and offices. Another primary goal in this project was to provide a new modern library space. Noyes Laboratory manufactured many fine chemicals during World War I after Germany cut off the export of supplies to the United States. After that, two important project series originated at Noyes Laboratory: Organic Syntheses, founded in 1921 and Organic Reactions, founded in 1942, both initiated by Roger Adams. Nelson Strong Spencer started his own practice in Champaign, Illinois, and worked as an architect in various cities around Nebraska and Illinois. He attended the University of Illinois in Urbana-Champaign and was an 1882 alum. 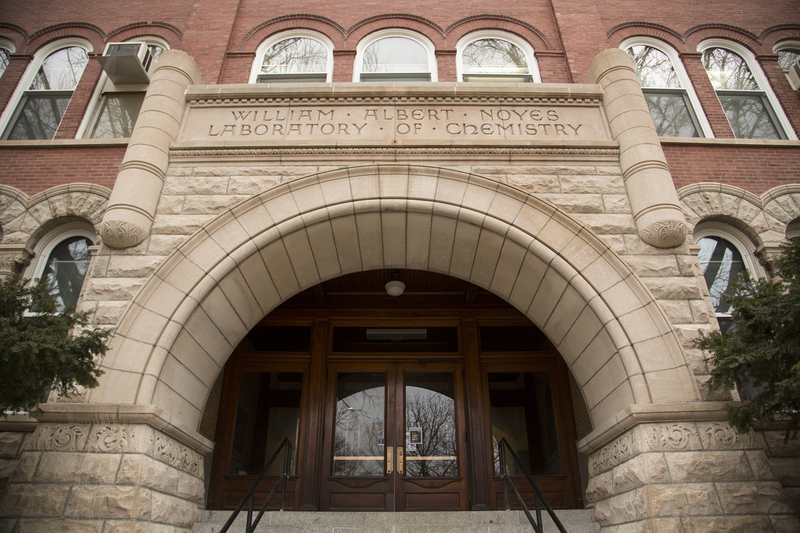 Entrance to Noyes Laboratory : Image courtesy University of Illinois Public Affairs. Copyright University of Illinois Board of Trustees. 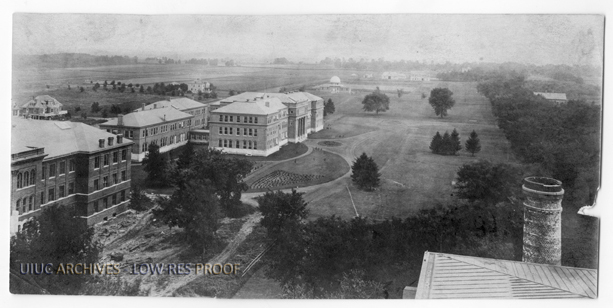 Chemistry Building (Under Construction), Agriculture Building, and Observatory from University Hall, 1902: Image courtesy University of Illinois Archives. If you can help to identify the copyright holder, please contact the University Archives. 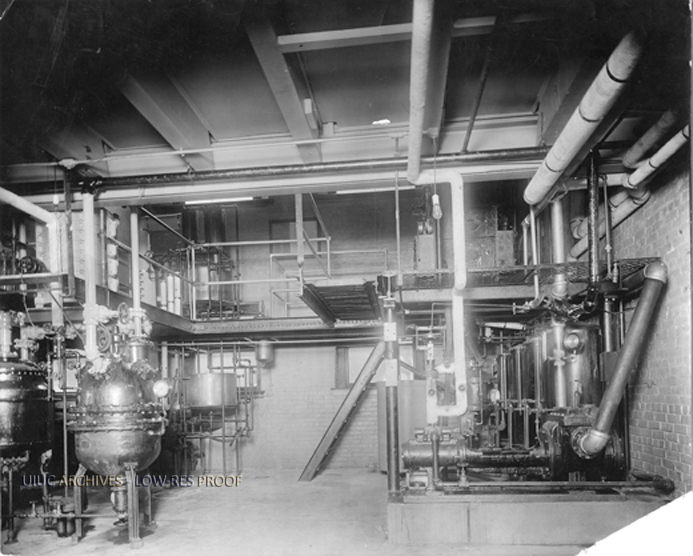 Noyes Laboratory, 1911: Image courtesy University of Illinois Archives. 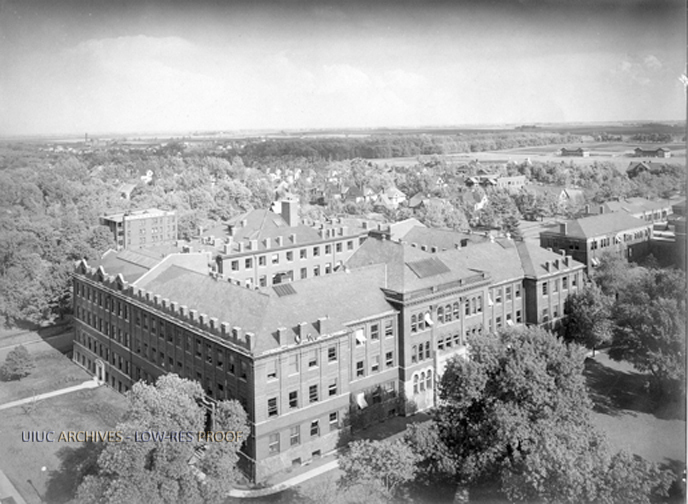 Aerial view of Noyes Laboratory, 1916: Noyes Laboratory of Chemistry Aerial view. At the time, the largest chemistry laboratory in the world used solely for the purposes of instruction and research, and is already overcrowded. Image courtesy University of Illinois Archives. If you can help to identify the copyright holder, please contact the University Archives. Noyes Laboratory plan, ca. 1909: Image courtesy University of Illinois Archives. If you can help to identify the copyright holder, please contact the University Archives. Interior with equipment, ca. 1927: Image courtesy University of Illinois Archives. If you can help to identify the copyright holder, please contact the University Archives. 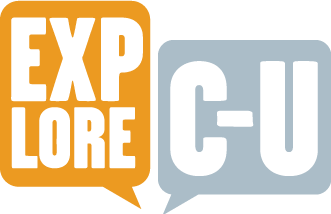 Avery Richardson, Sandra Martinez, and Talyn Kaskel, “Noyes Laboratory ,” ExploreCU, accessed April 20, 2019, https://explorecu.org/items/show/294.